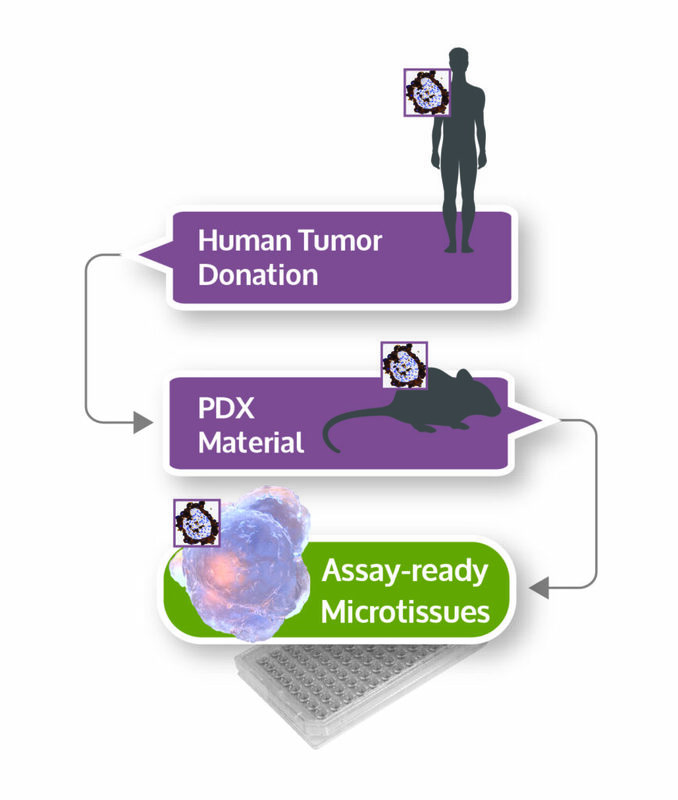 Preselect agents of interest for further preclinical development with an oncology tool designed to reduce research costs and optimize human tumor material. Dr. Chiovaro will present work on how Patient-derived xenograft (PDX) models act as vehicle systems to propagate human tumor specimens, faithfully preserving the biological features and the genetic expression profile. She will show that development and characterization of in vitro 3D InSight™ Tumor Microtissues from patient-derived xenograft (PDX) lines demonstrate that the morphological and molecular features of the parental tumors are well retained. 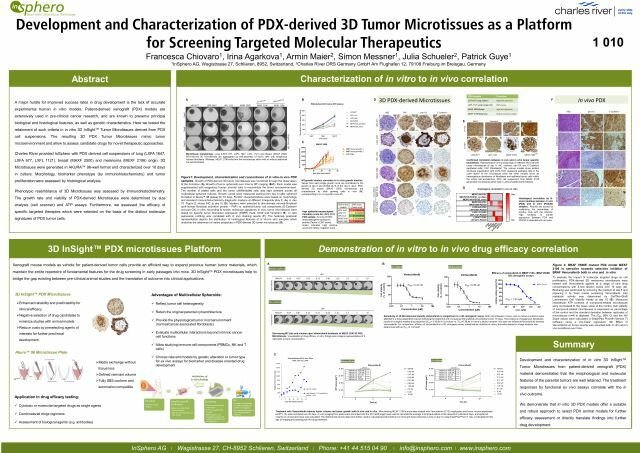 We suggest that in vitro 3D PDX models offer a more suitable and robust approach to expedite faithful efficacy assessment and approval of optimal drug candidates.